It Begins! Our 2018 F-350 Becomes the Flagship of the Bullet Proof Diesel Chase Fleet. Ken Neal and the Bullet Proof Diesel race support team have been running the pits for Cameron Steele and the Desert Assassins for many years. 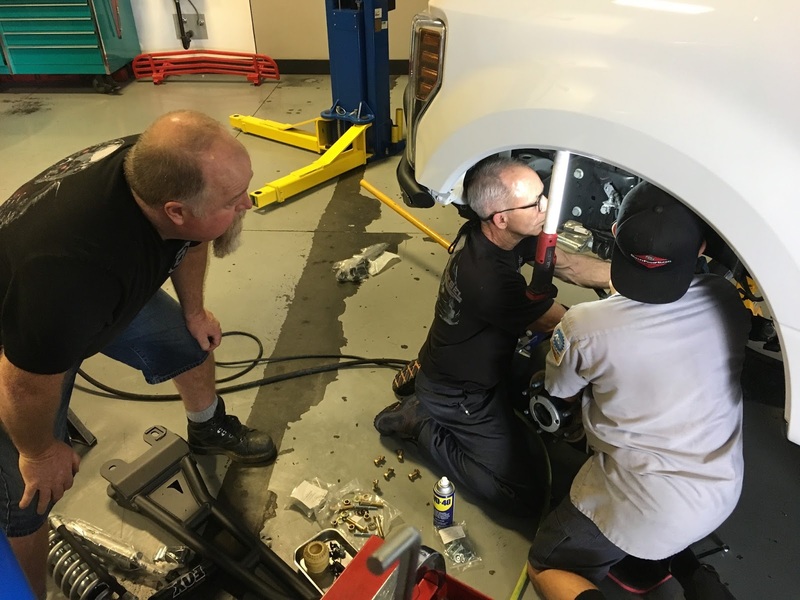 In fact, being down in Baja and learning which support truck parts needed upgrading helped serve as direct inspiration for many Bullet Proof Diesel products. Ken's 2004 6.0L-powered chase truck has run many a Baja dirt road, and we also have Kenny Kreuter's 6.4L Super Duty in the support fleet. If needed, we've also got a F-350 dually and a 6.0L Excursion that can be utilized. That said, it was time to look forward, to check out the new technology found in trucks, and to see how the 6.7L Power Stroke does in a chase truck. Pow! 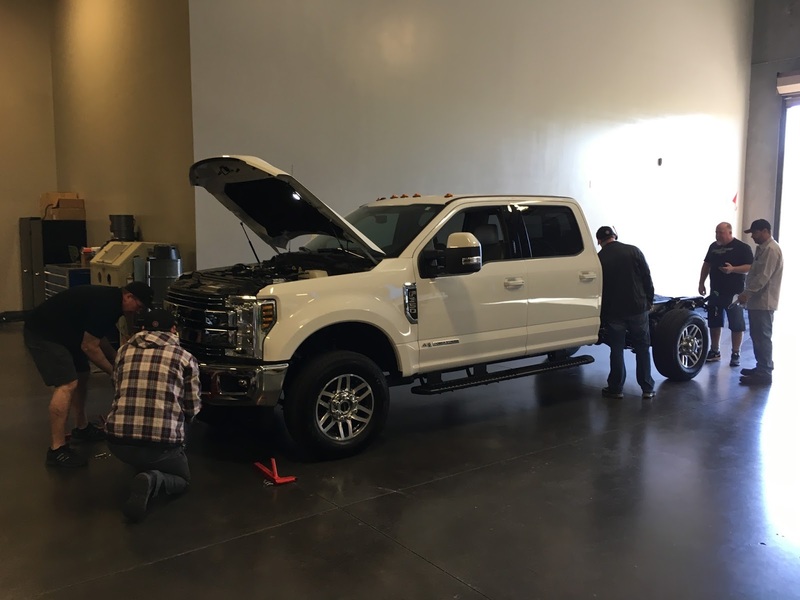 This past February, Ken showed up at Bullet Proof Diesel headquarters with a 2018 Cab & Chassis F350. With a wicked smile, he said "Let's build this thing!" and the project began. We'll be showing the steps to the build on social media, and Diesel World Magazine is going to cover the process as well! This truck will be a top-level support vehicle, chasing trophy trucks - it's just not something you see built every day. So join the fun, follow us on Facebook and Instagram, and watch as our new flagship is assembled!